Underage drinking refers to anyone under the minimum legal age consuming any type or quantity of alcohol. It can be very tempting for teens and young adult to experiment with alcohol, but the risks of doing so can be very serious. Many young people have no idea just how damaging drinking can be, to physical health, mental health, brain development, and an individual’s actions and choices. How old do you have to be to drink alcohol in U.S.? You must be at least 21 years old to drink alcohol in every state in the U.S. This age limit was put in place to protect the health of young people and also to reduce the number of accidents on the road caused by drinking. The legal age has long been a subject for debate. Before the mid-1980s, it was set at 18, but it was soon after raised to 21 primarily to reduce the number of highway fatalities that occurred as a consequence of teenage drinking. However, the set age limit has not stopped all minors from drinking, and some experts even believe it has contributed to excessive consumption of alcohol. 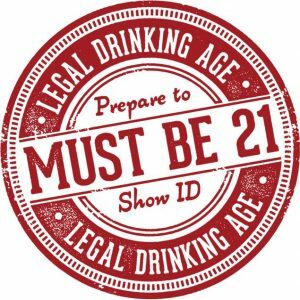 Critics of the 21 age limit are pushing for it to be dropped again to 18. A major argument made by the proponents of a younger legal age is that restricting alcohol to 21 and older has only forced teen drinking underground, into settings that cannot be managed by adults. Whether the age limit is set at 18 or 21, science points to the fact that the effects of alcohol on the still-developing brains of adolescents are significant. Alcohol can cause damage to the developing brain in many ways. Alcohol slows down the functioning of the brain and can lead to cognitive functional impairment. It can also affect a person’s judgment, balance, and mood. Alcohol affects the brain of anybody who consumes it in one way or another, regardless of age. The problem with underage drinking, however, is that the brain is still developing. This means that teens drinking alcohol may be more vulnerable to the harmful effects. Alcohol, although legal, is like a drug and it can negatively impact the mind and body. Whether drinking under age or not, when a person consumes alcohol about 20% is absorbed immediately from the stomach, and the other 80% is absorbed in the small intestine. Then, the alcohol-containing blood is circulated through the body, reaching the central nervous system in a short amount of time. Alcohol acts primarily on the nerve cells within the brain and interferes with communication between nerve cells and other cells, slowing down the central nervous system. This affects emotions, judgment, coordination, balance, and mood. It affects various areas of the brain and their functions, leading to many of the behaviors witnessed in people who are intoxicated. The hypothalamus is a small part of the brain in charge of housekeeping. Drinking can interfere with it and cause high blood pressure, the need to urinate, thirst and hunger. Body temperature and heart rate, on the other hand, decrease. This can make drinking in colder temperatures very dangerous. The cerebral cortex in the brain controls the senses and inhibitions. Alcohol interferes with this and lowers inhibitions. Someone who is intoxicated often seems more confident and less socially inhibited. The cerebral cortex also controls thinking, so alcohol affects the ability to make good judgments and to think clearly. The frontal lobes of the brain are important for planning, forming ideas, making decisions, and self-control. Alcohol also affects this area of the brain, making it more difficult to control urges. People under the influence often act without much thought for consequence. The part of the brain that stores memories, called the hippocampus, is also heavily impacted by alcohol. Drinking can cause short-term memory loss and even total blackouts. If alcohol consumption becomes excessive and it damages the hippocampus, it may become difficult to learn and remember things in the future. One-third of drunk-driving deaths involve people between the ages of 16 and 20. There are about 10.8 million underage drinkers in the U.S.
One in every 16 teenagers binge drinks. Only one in 100 parents believe that his or her teenage child binge drinks. According to the Arizona Youth Survey in 2008, 24 percent of 8th graders, 39 percent of 10th graders, and 47 percent of 12th graders in the state claimed that they drank alcohol at least once in the last 30 days. Forty percent of those who start drinking before the age of 15 will develop an alcohol use disorder at some point in their lifetime. One percent of 15-year-olds have reported having had at least one drink in their lives. The percentage of underage drinking that occurs in the U.S. can be surprising to adults, and the consequences are very serious. Young people are more vulnerable to the risks of being intoxicated because they have little to no tolerance to alcohol, they are more likely to be subjected to peer pressure, and because they have brains that are still developing. An increased risk of developing an alcohol use disorder. An increased risk of damage to the brain or liver. An increased risk of trying other drugs, including everything from cigarettes to cocaine, due to lowered inhibitions caused by alcohol. Mixing drugs like this presents its own physiological, psychological, and social problems. An increased risk of sexual abuse, risky sexual behavior, and unwanted sexual experiences due to lowered inhibitions. Impaired driving ability, with the possibility of fatal crashes. Alcohol can have a big impact on physical wellness and safety, but it also affects other aspects of a person’s life. Most underage drinkers are in school or college. Drinking and hangovers cut into study time and have a negative impact on academic outcomes. Poor academic performance can have lasting consequences. Drinking can also impact work, reducing performance, and contributing to lateness or missed days. It may also affect relationships, with family, friends, and romantic partners. Alcohol changes mood, and in some people drinking increases levels of violence and aggression. This can lead to fights, assaults, and even crimes that put a young person in a precarious legal situation. Under age drinking consequences may include a criminal record, which impacts every area of a person’s future. There are many risks of underage drinking, but parents, friends, and other people in a young person’s life can make a difference, especially if they are able to recognize the warning signs. Although some may be fairly obvious, especially catching someone drunk, some signs of problem drinking are less obvious. Alcohol can cause mood swings, irritability, aggressiveness, tiredness, and other changes that are often expressed as unusual behaviors. If these symptoms develop independently from other factors it can be a sign of alcohol use. Worsening grades, skipping classes or disruptive behavior in a previously good student can also be important warning signs to teachers and parents that something isn’t right. Drinking is a common cause of such issues. A sudden change in hobbies, giving up activities that a teenager used to enjoy, to do seemingly nothing, can be a warning sign. The activities may have been replaced by alcohol and drinking with friends. Heavy drinking can lead to memory loss and difficulty concentrating, especially after drinking while experiencing a hangover. If a young person cannot remember where they were, what they were doing or who they were doing something with, then this is a potential warning sign of drinking. To some extent, this is a natural part of growing up, and many young people will hang out with different friends throughout their time at school. However, rapidly changing friends, especially if there were no problems in previous friendships can be a warning sign. Also a warning sign is being secretive about friends and activities. Experimenting with alcohol is common among young people, and while parents and other adults may not be able to eliminate this behavior entirely, they can take steps to discourage adolescent drinking and to encourage smart decisions. For parents and children, an open and honest relationship is important. This allows for a positive dialogue in which parents can discuss the dangers of alcohol and peer pressure, along with keeping an eye out for any warning signs. Kids should always be given a chance to ask questions and get honest answers as well as discuss how they feel about alcohol and other difficult subjects. This builds trust and communication, important foundations for a healthy relationship. To discourage underage drinking, teenagers should be allowed to explore hobbies and activities. These may be completely different from their parents’ interests, but as long as they are positive, they should be encouraged. However, teenagers shouldn’t be forced to do activities they do not find interesting or enjoyable, as that can act as a stressor that will lead to distrust between parent and child, creating another reason to drink. While teens drinking alcohol is never acceptable and should be discouraged because of the potential and very serious dangers, young people should also feel able to contact their parents or other trusted adults when in risky situations. Positive and trusting relationships with their parents help teens make better choices and also keep them safe when they make the wrong choices. Teens and drinking is a real problem for many families. Treatment programs can help parents help their children stop drinking and make better choices. For more information about the options call (888)-459-5511 today.